The wooden garage is currently experiencing a surge in popularity throughout the United Kingdom. The wooden garage is currently experiencing a surge in popularity throughout the United Kingdom. Increasing numbers of people decide to install such structures next, or around, their houses, in order to keep their cars dry and secure. There are, of course, many types of such structures that you can build, but this guide is meant to shed some light on the benefits that come with constructing a wooden garage. From the get-go, garages these days tend to be used for much more than just a safe place to keep cars and other household or gardening goods. A wooden garage can almost act as a wooden shed. Which means it’s the perfect place to do DIY, wood work or if it’s big enough, you could turn it into a ‘man cave’ or ‘she shed’. With so much potential, wooden garages tend to have more to offer than metal or consecrate counterparts. The second-most important advantage – which translates in you saving a lot of time and money – is that a wooden garage only requires a single concrete slab as a foundation. A concrete or metal garage will require the construction of additional foundations, since they’re a lot heavier. The single concrete slab is required because it plays an important role in distributing the weight of the car evenly on the ground. Heavier garages also need foundations that support the weight of the walls themselves. 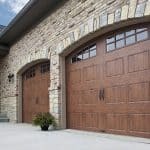 Although it doesn’t suit everyone wooden garage doors are considered more authentic and rustic, than a metal or concrete. They’re easier to paint over and can be much simpler to update. This also translates into lower maintenance, costs and time. A metal garage will display peeling paint when it needs to be maintained. You will then have to remove the flakes of paint from the structure, before applying the new coats. Dying concrete is even trickier to colour. 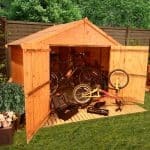 Unlike wooden sheds, garages will not require yearly maintenance. 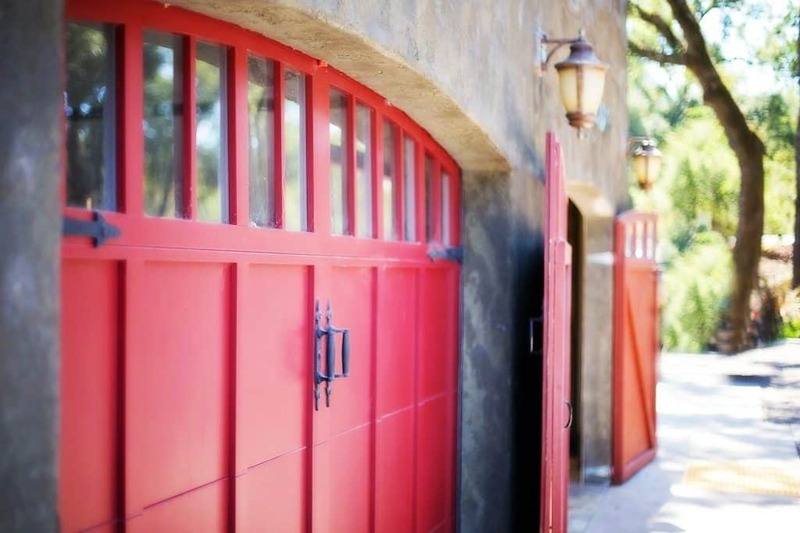 Wooden garage doors are also easier to install and finish than any other material type. If you decide to install it yourself, you could easily do so over a weekend, without too much hassle. The same cannot be said for a concrete garage, whose construction – extra foundation included – can sometimes take what feels like forever! While metal garages are also relatively easy to install, they take even longer to install because of deep foundations. Always keep in mind that wood is a good natural insulator. Garage doors made from timber, will naturally keep things at warmer temperatures than structures made out of metal or concrete. Any holes you may punch into the garage walls for electricity cables – will not affect its insulating properties. In metal garages, there is always the risk of rot affecting the areas around the drill site. 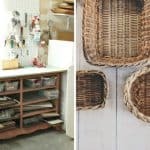 In this sense, it is easier to convert a wooden garage into a fully-fledged workshop, where you can pursue your hobbies or effect basic repairs on your car, bike or lawnmower. The sixth key advantage that these structures have is that you can easily replace any damaged parts. 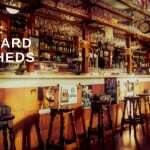 If rot or other forms of damage affect a certain portion of it, those segments can be replaced with other bits of wood, restoring functionality to the area. 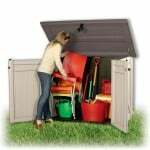 Mending a broken or rotten metal shed is significantly more complicated. If it is well cared-for, a wooden garage can easily last for 10 to 15 years. If you choose timber that is thoroughly pressure-treated as a basic construction material, you will be able to enjoy your wooden garage for a lifetime. These are just some of the advantages that a wooden garage has over metal or concrete ones. Add to them the fact that you can easily decorate the exterior of your new garden structure and you get a package that combines affordability with significant benefits.